Cosy first caught the attention of national folk audiences when she won the songwriting contests at both the Kerrville Folk Festival and The Telluride Bluegrass Festival in 1992. She has been touring, writing and recording ever since. West Side Folk called her "one of the era's finest and most thoughtful songwriters." Her latest CD, Pretty Bird, was included in Sing Out Magazine's "Great CDs of 2014." Her concerts are wide-ranging explorations: love songs for adults and practical philosophy for a complicated world. She has written about the stock market crash of 2008 and fall-out from uranium mining in the American southwest. She has re-written greek myths: Persephone runs away with Hades the biker. And then there are her signature parodies on aging and women. Her lyrical dexterity is backed by her distinctive percussive guitar style. 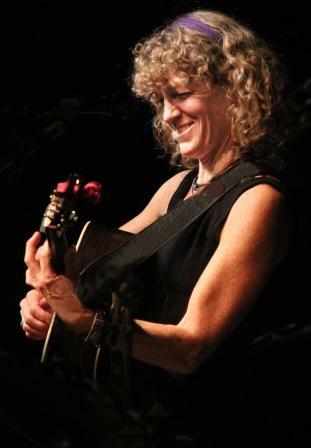 For the past 20 years she has taught classes in songwriting, performance and guitar at workshops and adult music camps across the country at such camps as The Swannanoa Gathering, California Coast Music Camp, and WUMB radio's Summer Acoustic Music Week. In 2008 she founded the Moab Folk Camp in Moab, Utah.